Thank your Mum for well…everything with our Mother’s Day Tea Chest! Our Mother’s Day Tea Chest includes everything to let your Mum enjoy some special moments. 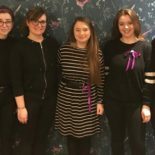 We’ve even created some tea recipes to try at home. So go on, thank your Mum for always having the best food in the fridge. For the 10,000 loads of washing she has done for you. For letting you get a pet that you promised to look after but she actually does. Thank her for giving you the best hugs whenever you need one and for teaching you that a cup of tea can fix anything. This Mother’s Day, thank your Mum for everything by treating her like the queen she is. Spoil her with the greatest gift of all, a silent, peaceful moment. 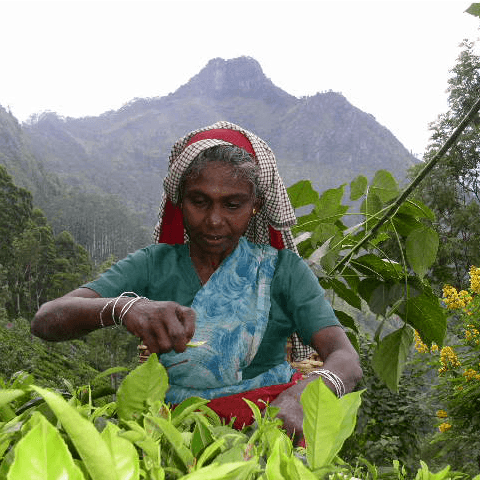 We think tea is a great tool for slowing down. We all move a million miles an hour and sometimes we forget to live life on purpose. Your Mum is a super woman but she still needs some ‘me time’. 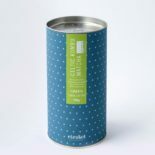 For Mother`s Day we have launched a Limited Edition Tea Chest. 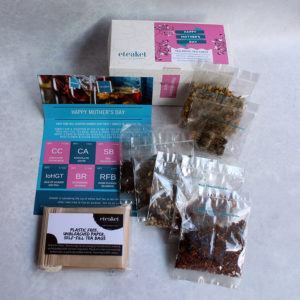 It has 7 mother loving loose leaf teas, a pack of Plastic-Free self fill tea bags and a tea guide. 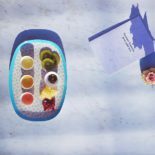 This Mother’s Day Tea Chest is the perfect way to start a self care habit. 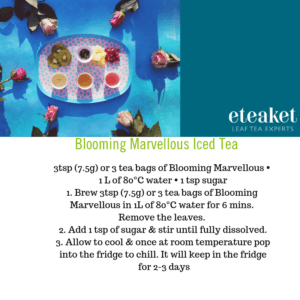 We have come up with 7 recipes that you could make with the teas in the selection and we want to share some of them with you now! Impress Mum with these tea-rrific recipes. 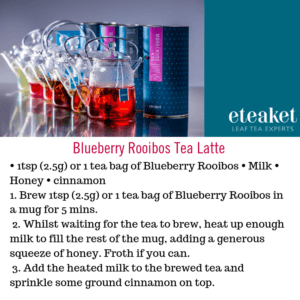 Click this link for the full range of Mother’s-Day-Tea-Chest-Recipes. 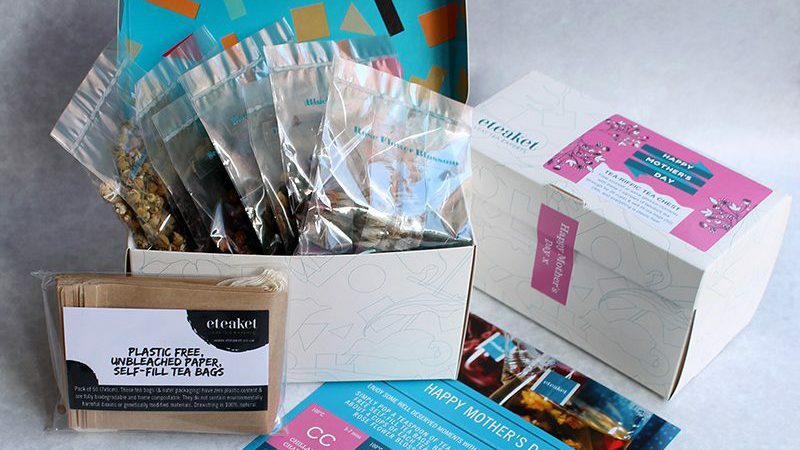 Our Mother’s Day Tea-Riffic Chest is just that! Terrific! 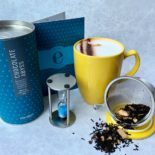 Providing a glorious selection of loose leaf tea, this tea chest is a wonderful gift for a mum… Or for yourself! Because, why not? 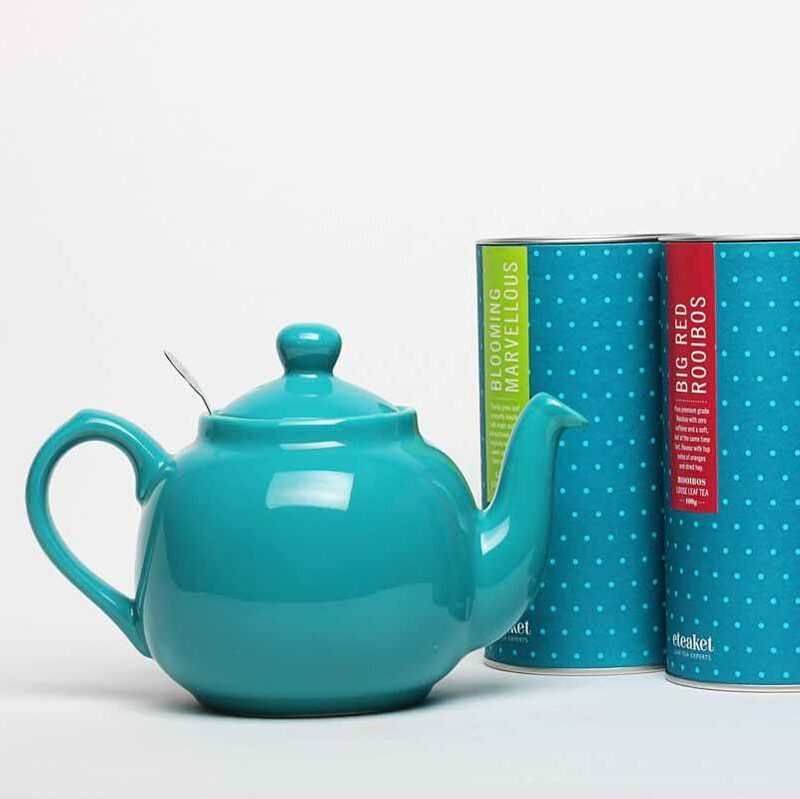 Our Tea-Riffic Tea Chest contains 7 different and delicious teas, so sit back and relax! Follow our special Mother’s Day Periodic Brewing table to brew your teas to absolute perfection in our complimentary completely plastic free self-fill teabags. 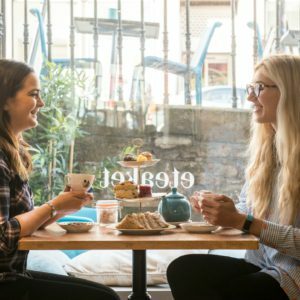 With 6 loose leaf teas and our stunning Rose Flower Blossom tea (which can be infused twice), there are over 25 cups worth of tea to be brewed and enjoyed! Total bliss! 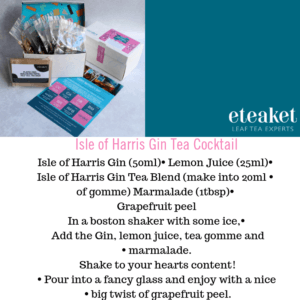 Chillaxin’ Chamomile, Chocolate Abyss, Sea Buckthorn, Blooming Marvellous, Isle of Harris Gin Tea, Blueberry Rooibos and Rose Flower Blossom. This super limited Tea Chest is available online, in our Concept Store (111 Rose Street) and in our Tea Room (41 Frederick Street). 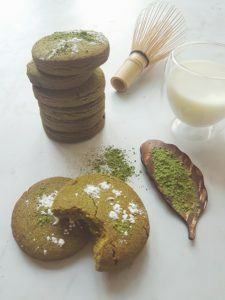 Oh, and if your Mum would appreciate something to go along with her tea, you could always have a bash at baking her some Celtic Kombu Matcha Cookies. Get the recipe from Scottish Field Magazine >>here<<. 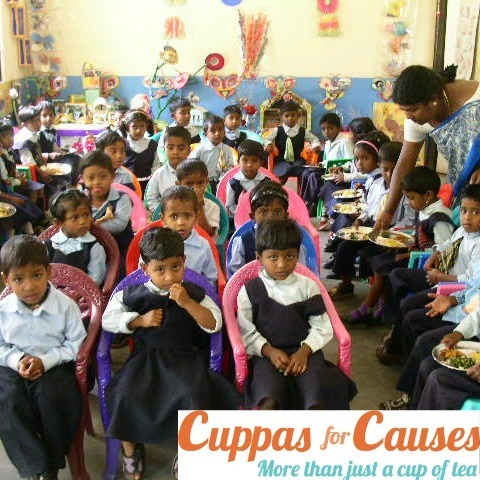 Please share any pics of happy Mums enjoying their teas and recipes. 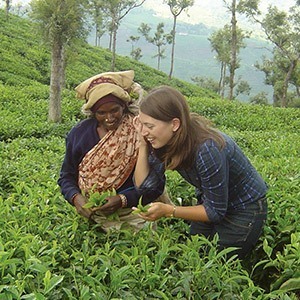 We love seeing your #eteaketmoments! This entry was posted in Concept Store eteaket team General Gifts, Gadgets & Accessories Health & Lifestyle Recipes Tea Tea Room Tea Travels and tagged bubble cup, Christmas, cold brew bottle, cold brew tea, Concept Store, healthy lifestyle, herbal infusions, herbal tea, innovation, japanese tea, leaf tea, loose leaf, rooibos, sea buckthorn, tea for health, tea recipes, Tea tastings, tea tribe, whole leaf tea. Bookmark the permalink.